A robust production in modern dress. Its adaptive energies lie in the contemporized revisioning of Shakespeare. The military milieu is emphasized, and Othello and Iago are buddies, even seen gyming together. 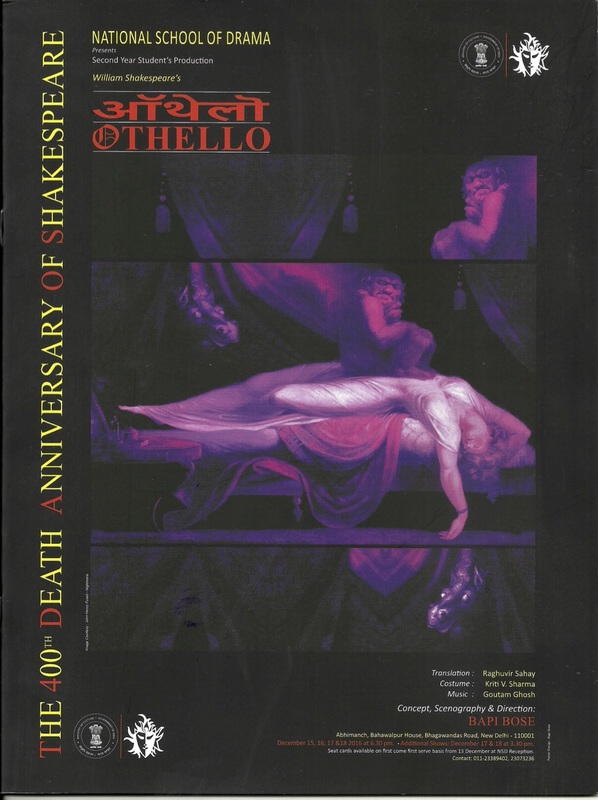 Iago's wiliness is believable and Othello's susceptibility becomes understandable. 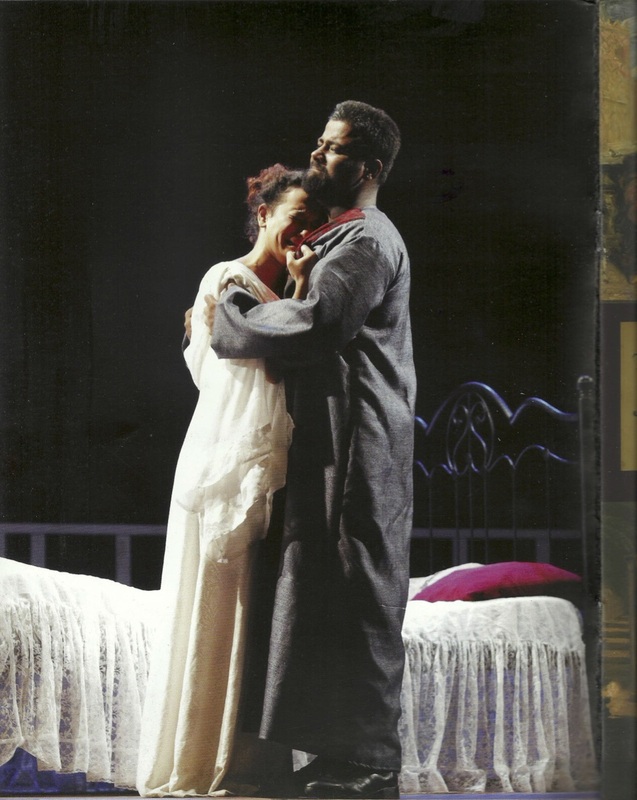 Desdemona is spirited: she jumps out of the bed and runs to the bedroom door banging on it for help at the end. The verse in translation is handled with ease and fluency, adding to the contemporary performance of the play. Cast: Parag Boruah, Guneet Sigh, Ankur Saxena Bashar, Sanjeev Jaiswal, Mahadev Singh Lakhawat, Parmanand, Meenakshi Thappa, Debarati Sikder, Indira Tiwari, Neeraj Negi, Amit Sharma, Ankit, Irfan Siddiqui, Bhagwandas Ahirwar, Saajan, Nagesh Tomar, Arjun Thapa, Vishwajeet, Aanand Raut, Kapil Kumar, Saurabh Joshi, Vicky.